This design uses Japanese Denguri paper, which is a local product of the Shikoku region. The lamp comes flat packed (approx. 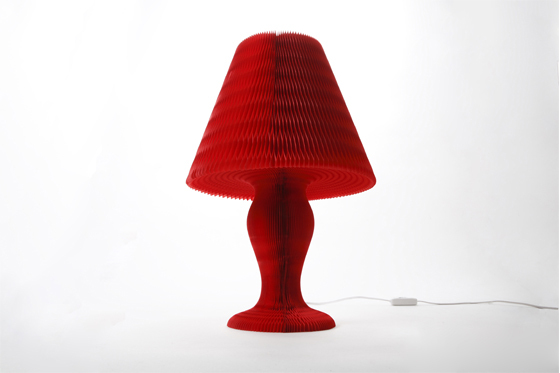 20mm thick) and when put together, transforms into a beautiful desk lamp revealing it's honeycomb texture..
* lamp bulb and electric parts are not included.